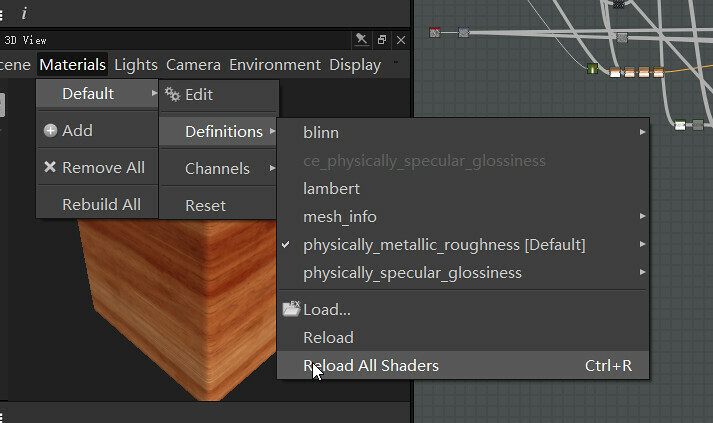 I'm using Substance Designer 2017.1(or Substance Designer 6), and after I installed the shader, it DID appear in shader list but being set disabled. When I click "reload all shaders", an error message instantly jumped out. I guess there is something changed in the GLSL codes so it conflicts with Substance or OpenGL. 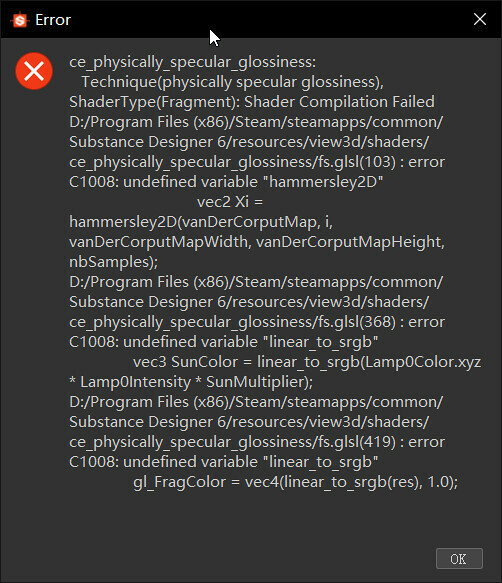 The Error message is shown below: I'm not quite familiar with GLSL so I can't tell why this error occurs. Also, I'm using Substance Subscription so that I can't roll back to Substance Designer 5 which is tested in the documentation. After releasing the Substance shader we got in contact with Fabrice at Allegorithmic and discussed the steps to move the shader over to SD 6. We would need to fix the base color settings and then also the upgrade to Fibonacci in the algorithm. Expect an update in the coming weeks after we have tested it and integrated it into our internal pipeline and then QA'd for release. Nice! Looking forward to the shader in Substance. Are there any updates on the Substance CRYENGINE Shader? Thought I would bump this old post instead of making a fresh one. Hasnt been an engine update yet since 5.4. Hoping for Designer and Painter 2018 support soon. Fingers crossed. Copy it and paste it in the Cryengine.glsl file instead of the old code. I tried to fix the shader for Substance Designer but it looks a bit more complicated. You´re a saint! It worked fine! !